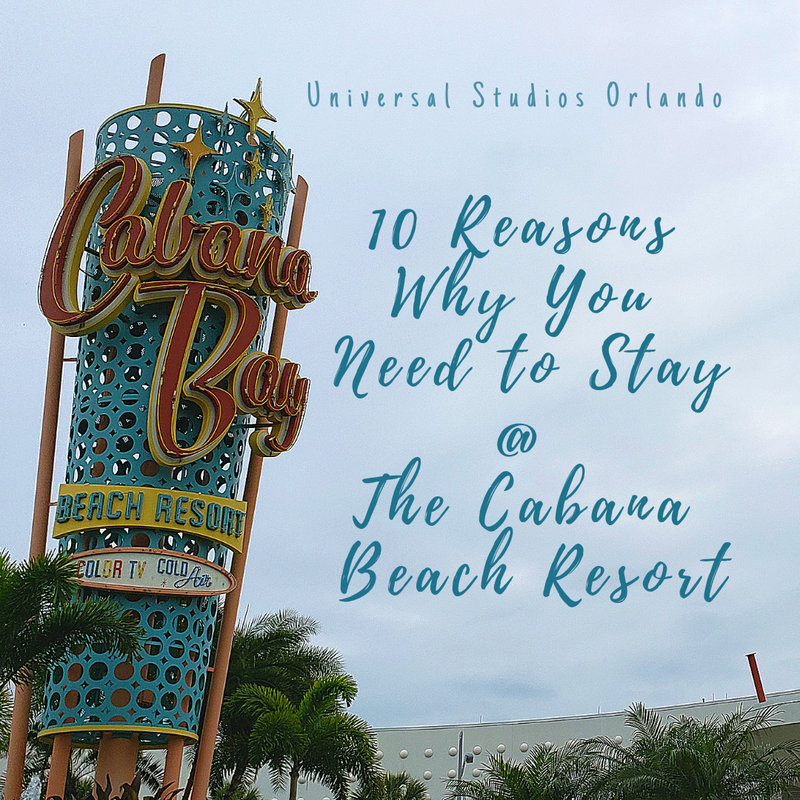 Check out my top 10 reasons you need to stay at Universal Studios Orlando's Cabana Beach Hotel. 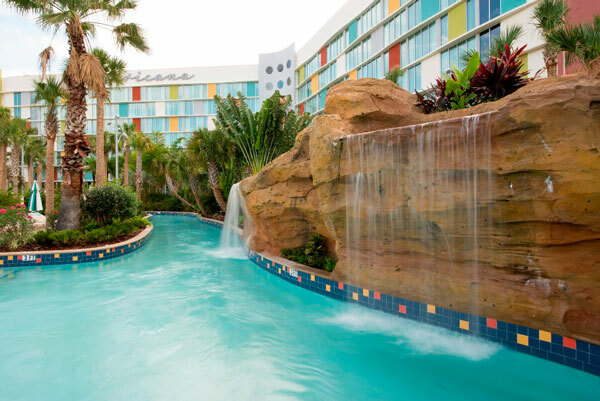 The Cabana Bay Beach Resort not only has several pools but also have a lazy river. A. LAZY. RIVER. 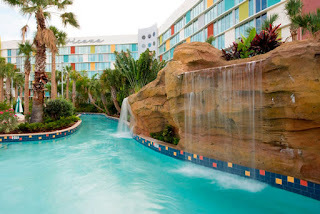 I'm not sure if you're aware that a lazy river is a water ride which usually consists of a shallow pool that flows like a river which generally has a slow current, just enough to allow guests to gently ride along lying on rafts (according to wikipedia). 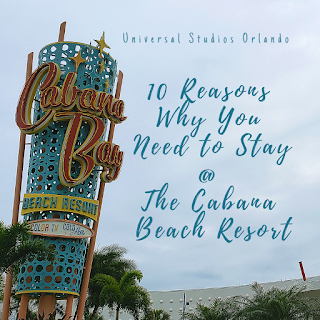 On our most recent trip, we took advantage of the early access to Islands of Adventures (that we are offered just for staying at the Cabana Beach Resort - more on this below), had lunch at the park, then came back to the hotel to go the lazy river for a few hours. After some lazy river fun, we showered and headed back to Islands of Adventure for the Harry Potter castle light show. It was awesome and I wouldn't mind haven't that kind of schedule again. We stayed in a suite at the Cabana Beach Resort. From what I could tell, the resort only offers two room options, a room or a suite. We upgraded to a suite for just $10 a night. It was well worth $20! Disclaimer: this was the deal we were offered, this may not be the deal you find at the time of booking your stay. Be weary of the price. The suites include a kitchenette, living room, two queen beds, walk in closet, and a bathroom. It's a nice room. Roomy for two people (but houses up to 6 if needed with pullout couch). Beds were comfy (pillows were all a little weird lol). I'll discuss the bathrooms below (they deserve their own line item). Over all it's a hella good room for a great price. One of the benefits of staying on promise is the transportation to and from the parks and City Walk is free and convenient. The bus ride from Universal Orlando to the Cabana Beach Resort was 5 minutes. Amazing. I couldn't have driven there, paid for parking AND found a parking space in 5 minutes. AND we never waited very long for a bus (maybe 10 or 15 minutes at the most). 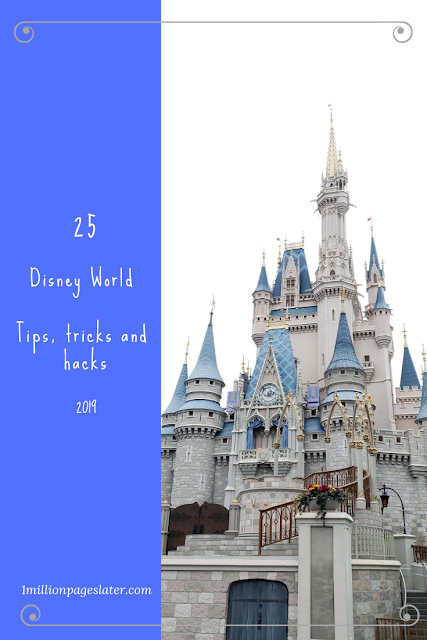 We never took advantage of the quick walk to and from the hotel to the parks but we saw in many youtube videos it is only a 20 minute walk to and from the parks to the Cabana Beach Resort. Which is nice. If you're into that kind of thing. It's an option. This might be one of my favorite features of our suite at the Cabana Beach Resort... they installed a separate room for the toilet! You don't think it's a big deal? This means someone can be pooping and you can still use the bathroom if you wanted. Sure you can't use the toilet but you can wash your hands or shower while someone else is POOPING! They can poop in peace and I can get ready in peace. It's a win win. I want to play out a scenario. Stay with me. Imagine you have to shower, you hop in the shower. And your boyfriend, girlfriend, non-binary friend needs to pee or poop (everyone poops) and another person wants to wash their hand. You can all do that WITHOUT interrupting anyone. I think that's amazing. I hope you do too. 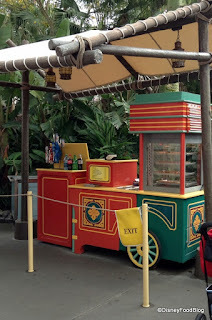 There are so many food options at the Cabana Bay Beach Resort you will satisfy enough those picky eaters. You know the ones. Bayliner Diner - It's a food court of sorts with three main hot food stations with different food options. They also have snacks and juices, milk, cereals. We stopped here a few times. Galaxy Bowl Restarant - This is the hotel bowling ally which also has food options. Starbucks - Yes, the Cabana Bay has a place for all your caffeinated needs. Swizzle Lounge - Cocktail bar. I'm a huge breakfast potatoes fan (not just breakfast just the potatoes). I'm super picky. I like them crunchy, seasoned properly and bite size. The Bayliner Diner at the Cabana Beach Resorts has the best breakfast potatoes I've ever had. Period. When staying at the Cabana Beach Resort, with price of your stay, you are allowed to access Islands of Adventure at 8 am (1 hour earlier than the park normally opens). Completely take advantage of this if you can. The park selects a few rides to open early such as The Minions rides and some of the rides of Diagon Ally.